How I Cleaned Up My Lungs in Just 3 Days. 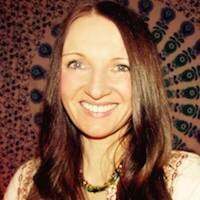 I recently noticed this detox program on a website so I decided to give it a go as I had been experiencing spells of fatigue and had noticed I was developing a cough from time to time which was a sign that my lungs may not be in the best condition. I followed the detox and added a few of my own remedies and the results were incredible. After the first day I noticed a huge difference and by day three I felt completely rejuvenated and the extra energy I had affected all areas of my life. I will be repeating the detox every month from now on and many of the things that were included in the detox have been added to my daily health routine. The lungs are vital organs, so it is essential to ensure they are performing at maximum capacity. When we cleanse the lungs we will have more energy and also protect ourselves from illness and disease. According to Elson Haas, MD, an authority on detoxification, nutrition and health, cleansing and detoxing is one of the most powerful healing therapies and our lungs function best when they are detoxed, clean and healthy. With good nourishment and a healthy lifestyle it is possible to repair any damage that has been done to lung tissue. Detoxing helps to remove the toxins that have built up and relieves the immune system so that healthy tissue can grow. Lungs can become damaged not just from smoking, but also from air-pollution such as second-hand smoke, vehicle fumes or industrial pollution. The lungs can also become polluted from eating the wrong foods or drinking the wrong fluids. 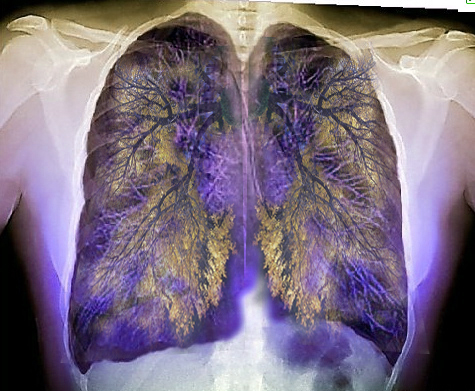 Healthy lungs are vital to maintain good health as they expel carbon dioxide and provide oxygen to the air we breathe. Simply by living on this planet and inhaling the air surrounding us we can pick up harmful toxins that stick to the lungs like debris and reduce the lungs elasticity. As the lungs become clogged up with toxins their ability to expand so that they can fully inhale enough oxygen can be dramatically limited. The cellular lining of the walls of our lungs regenerate every two to three weeks, however, the alveoli, the deeper tissue, takes around a year to regenerate. There are quite a few things we can do to cleanse and rejuvenate our lungs and this particular detox works extremely well. During a detox it is highly recommend that we drink plenty of water and eat plenty of fresh organic fruit and vegetables. I only ate organic fresh fruit and vegetables whilst detoxing to give my system the maximum boost with cleansing and ridding itself of harmful toxins. This detox will help to clear the lungs of toxins, which include nicotine and tar and it has beneficial results in just three days and can be repeated regularly. 1. Drink a cup of sage tea before going to sleep on the evening before the detox. 2. Squeeze two lemons into a 10 ounce glass of cool boiled water and add a teaspoon of local organic honey and drink before breakfast. 3. Throughout the day drink 10 ounces of either pineapple, cranberry-apple or grapefruit juice, as they all contain antioxidants that assist with cleansing the lungs. 4. Drink 8-10 ounces of fresh carrot juice in between breakfast and lunch as carrots affect the alkalization of the blood and this helps to stimulate detoxification. 5. With lunch drink 12 ounces of any juice that is high in potassium, for example, avocado, banana, beetroot, tomato or spinach. 6. Before bed drink 12 ounces of cranberry juice as this helps to fight the bacteria found in the lungs. 7. Take one tablespoon of olive oil twice a day and drink a laxative tea during the morning and one in the evening to assist the intestines to function effectively. 8. On the last night of the detox eat a bowl of fresh salad. 9. The day after the detox eat small sized freshly prepared meals that are easy to digest. 10. During the detox spend 20 minutes a day in a hot bath as perspiration removes toxins through the skin. 11. Heat water in a pot and then add 5-10 drops of eucalyptus essential oil. When the water has cooled slightly place your head over the pot covering with a towel, inhaling the steam until the water has cooled right down. 12. Drinking a glass of lemon juice before breakfast and last thing at night also assists with cleansing and rejuvenating the lungs. Licorice is one of the most widely used herbs for removing toxins from the lungs. It loosens the phlegm in the respiratory tract to give the lungs the opportunity to remove mucus. It has antibacterial and antiviral benefits that fight the bacteria that cause lung infections. Ginger also detoxes the lungs and improves blood circulation. Watercress eliminates toxins from tobacco. Carrots contain Vitamins A and C, both antioxidants, which are necessary for maintaining healthy lungs. The most important part of the grape is the skin. Grapes contain an antioxidant that held reduce the inflammation on the cell lining of the lungs. Grapefruit contains antioxidants and helps the circulatory system to detox. Reduces the debris that has collected on the lungs and reduces mucus build up in the throat and lungs. Dandelion juice is one of the richest plants for magnesium and iron. It also contains calcium, potassium and sodium which all help to maintain the health of the lungs. On a daily basis we should also avoid chemicals found in artificial sweeteners, products that contain high fructose levels, an excess amount of sugar or salt and we should also eliminate soda and processed foods from our diets. We can assist the lungs by cutting down dairy and wheat to reduce mucus and also by lowering our meat consumption. Organic products ensure we do not consume harmful pesticides. Household products such as bleaches, scented air fresheners and detergents also contain chemicals so alternative natural products should be sourced. Indoor plants should be added to the home, as they are a natural way of removing harmful toxins. Body care products and cosmetics should also be chosen with care as these two can contain harmful toxins. Spicy foods break down the excess mucus in the lungs and also in the body and they also have an effect on the tar in the lungs, helping it to break down so it can be removed from the body. Drinking purified plain water keeps the body hydrated and the organs moist so that they can easily flush out waste and this speeds up the detox. Sweating removes toxins naturally so hot baths, showers and using a sauna can all help to speed up this process. Eucalyptus can be added to a bowl of hot water to create a steam inhalation that can be used on a daily basis for approximately 15 minutes. Eucalyptus eases congestion and is also an antioxidant so it is beneficial in assisting the immune system to function well. Smoking harms the lungs and also puts us at risk of cancer and other health problems, so it is essential to stop smoking to avoid flooding them with dangerous chemicals. Breathing exercises are also a beneficial method for detoxing the lungs to ensure they are strong and healthy. B.K.S. Iyengar recommends pranayama, which is a breathing exercise that consists of inhalation, retention and exhalation. It helps to keep the lungs functioning healthy. Pranayama is a practice whereby we completely inhale, then hold the breath for only two to three seconds before completely exhaling. If we keep the abdominal muscles relaxed the diaphragm lowers during inhalation, which creates room around the lungs so that they can fill with air. This exercise should be repeated eight times pausing for a few seconds between each sequence. *Consult with a doctor before doing any detox if you have any health concerns. The Detox Methods that are Actually Proven to Work. Question!? Do you eat anything else than what you wrote down(only fluids plus one salad)???????????? ?